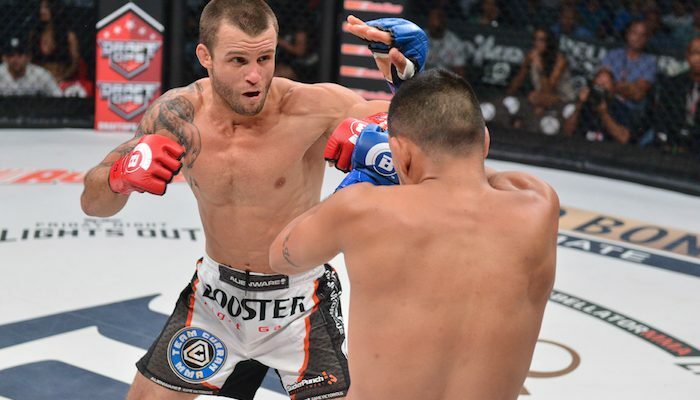 Former Bellator featherweight champion Pat Curran will be in the main event of Bellator 167 on December 3 in Thackerville, Oklahoma as he will meet John Teixeira. 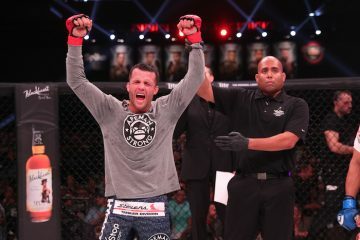 The fight booking was announced by Bellator in a press release on Monday. Curran (22-7) has won back to back fights and is coming off a decision win against Georgi Karakhanyan at Bellator 155. Teixeira (19-1-2) is unbeaten in his last eight fights and is coming off a decision win last year against Gleristone Santos at Bellator 143. Bellator 167 will come from the WinStar World Casino and tickets are currently on sale at Ticketmaster. Do you know if Spike will broadcast the NYE Rizin FF event on Spike? What’s the latest with Sarah Kaufman and Lorenz Larkin’s free agency statuses? Is Sarah Kaufman prolly gonna end up retiring if nobody signs her? I think Bellator should sign Kaufman for their 145 women’s division. Somebody needs to tell Greg Hardy that he can’t fight women if he decides to do MMA, lol. I have not heard anything at this time about Spike and Rizin NYE card. In terms of free agency, nothing on Kaufman at this time. I think she would be a great addition to Bellator 145 pound division, if that is a weight she wants to fight at. On Larkin, I expect something will happen on that front shortly. Bellator has been doing out of competition drug tests since last yr. They didn’t just start doing that now. 12 fights for Bellator 165 have been announced. So are they yet to announce the 5th fight for the main card? Or is it just a 4 fight main card? State athletic commissions have done some out-of-competition drug testing on Bellator fighters over the past couple of years. 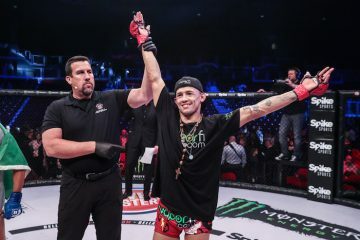 It was just a couple of months ago (before London event) that Bellator hired the Mohegan Tribe Department of Athletic Regulations to handle drug testing for international shows. Which they have done out-of-competition testing for the upcoming Israel card and Alexander Shlemenko. On Bellator 165, the fight card is not finalized yet.